Gordon's STEM Blog: Is It Time For a Verizon iPhone? Is It Time For a Verizon iPhone? You've probably heard by now that Android phone sales beat iPhone in the 2010 first quarter with 28% of the U.S. smartphone market. At first this may seem a little surprising but then when you think about it......... the only provider you can get an iPhone from is AT&T. 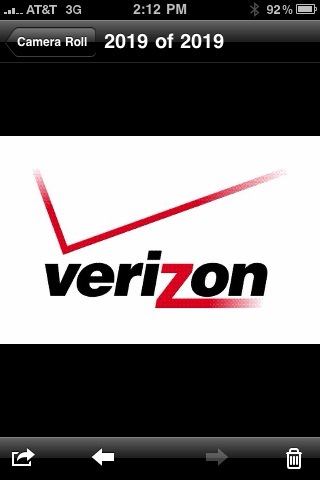 You cannot buy one from Verizon or Sprint where you can buy an Android phone. In addition, AT&T is selling Android phones so, if you are looking at phones in an AT&T store you're going to get to compare side by side. A quick check on the AT&T Wireless website shows the 16G iPhone 3Gs selling for $199.00 and the Motorola Backflip Android Phone selling for $99.99. Both option contracts look similar and they both run on the same AT&T 3G network. According to our [Alphawise U.S. consumer iPhone survey], there is substantial pent up iPhone demand within the Verizon installed base as 16.8 percent of Verizon subscribers said they are ‘very likely’ to purchase an iPhone if offered on the Verizon Network. Crunching her numbers, Huberty calculates Verizon would sell about seven million to eight million (Apple) iPhones annually over the next two years. Sounds like some numbers Apple might be interested in, especially when you tie in potential revenue from the iPhone App store, iTunes, etc. Steve Jobs is keynoting Apple's World Wide Developers Conference (WWDC) early next month in Cupertino...... it will be interesting to hear what he has to say.